On Deportivo: They were up and down at the start. It looks to me as if Deportivo is playing well at the moment. They have changed their system a little to suit their players. On Busquets: You never know how the games will go. The most important three points are the next ones. He could get a yellow card at any moment, we will decide tomorrow. On Dembélé: He is doing well, he has started working out with the group but he hasn’t completed all the trainings. Next week, we will increase the workload. We are hoping he will be available in January. Before then would be premature and risky. On Mascherano and Iniesta: We are optimistic but we have to wait until after the training to find out for sure. At the moment, we think they will be available. 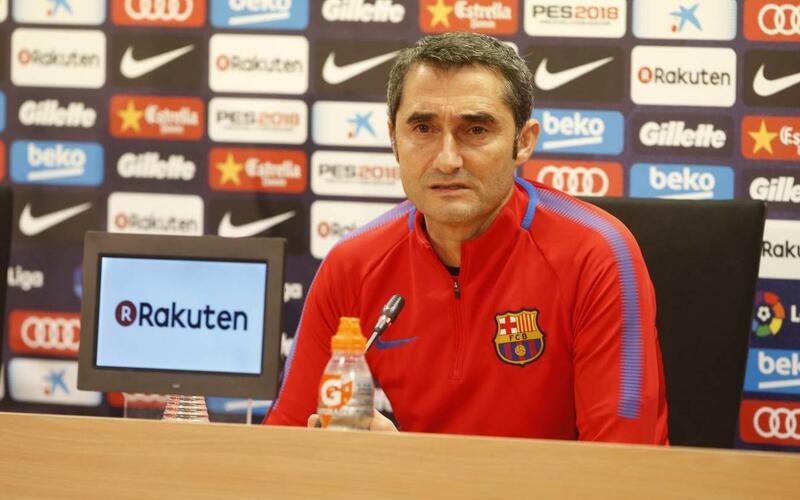 On El Clásico: Our objective is to win tomorrow. We are not thinking about the Clásico as tomorrow is an important game against tough opposition in Dépor. Our plan is to get the three points and we know it will be hard but we go into the game in an optimistic mood. On the extra rest due to having no midweek match: It is always good to rest up as in the last few weeks we have had a busy schedule. Now we have a bigger gap between games, meaning we can prepare better and not just recover between games. We have more time. On Rafinha: He has been injured a long time and has now been with the team for another week. He has worked incredibly hard to get fit and doing so on your own is very tough. It is time for him to re-join the team but we need to be careful with muscular problems. We hope he will be available to help out in January.